Nominees for the 43th annual edition of the Daytime Emmy Awards were announced on Thursday, March 24, on the CBS chat show "The Talk." Winners will be revealed during the Creative Arts Emmys on April 29, followed by the main ceremony on Sunday, May 1. 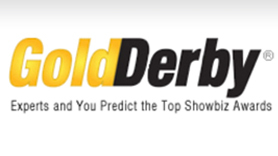 Read the entire GOLD DERBY article HERE.